This summer Air Malta is offering customers a selection of 160 weekly flights to around 50 destinations. With this schedule, running from the 29th March till 24 October, the Maltese airline is planning to carry 1.2 million passengers. 26 of these routes are scheduled services, whereas 23 are charter flights. A number of changes to last year’s summer schedule were made to maximise opportunities, increase efficiency and make flights more attractive, both for Maltese citizens as well as for the tourists visiting the islands this summer. This summer the Maltese airline has increase flights to a daily service to Amsterdam. Flights to Brussels have also increased from seven to nine flights every week. Changes have also been made to the schedule on Italian routes. This year Air Malta operates a daily service to Milan’s Linate airport. For the second consecutive summer the airline will also be operating to Venice, with a maximum of 3 flights per week and has also increased 3 flights per week to Catania. This season Air Malta will also be operating an interesting series of charter flights, both for Maltese and foreign operators. Most of the flights will be operated to Tel Aviv in Israel, and regional airports in England, France and Eastern Europe. 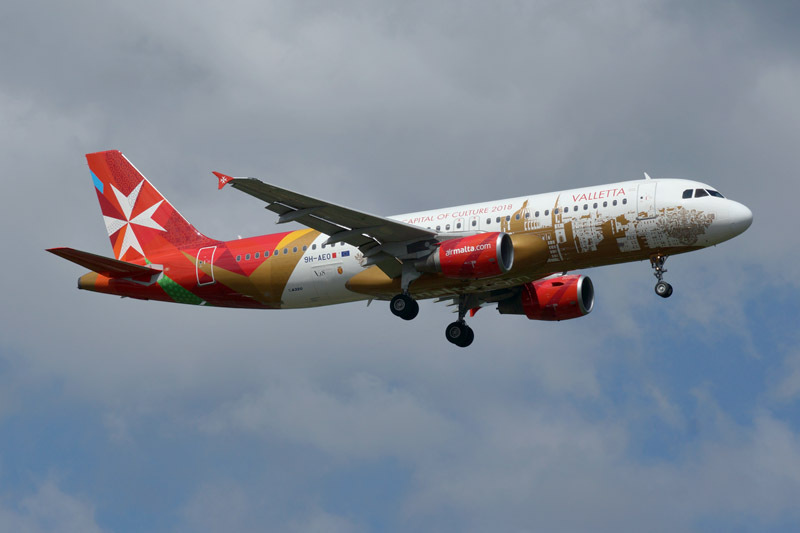 This summer Air Malta will operate direct scheduled flights to Amsterdam, Athens, Berlin, Brussels, Budapest, Catania, Düsseldorf, Djerba, Frankfurt, Geneva, Hamburg, London – Gatwick, London – Heathrow, Lyon, Manchester, Marseille, Milan, Moscow Domodedovo, Munich, Paris – Charles De Gaulle, Paris – Orly, Prague, Rome, Venice, Vienna and Zurich.